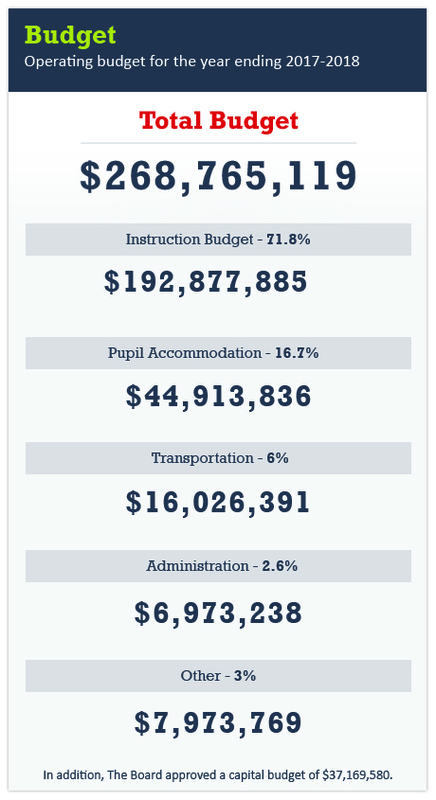 Welcome to the Director’s Annual Report – a snapshot of the teaching and learning that took place across the Limestone District School Board in the 2017-2018 school year. It is my pleasure to present the Director’s Annual Report which provides an overview of the learning and leading that took place during the 2017-2018 school year in the Limestone District School Board. 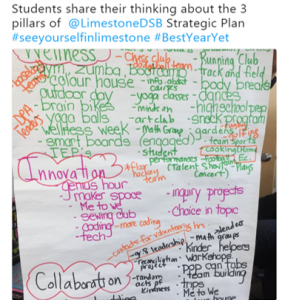 As you will see from the stories of success shared here, by focusing on our strategic pillars of Wellness, Innovation and Collaboration, our students and staff continue to work toward our renewed vision to foster engaging and innovative learning where everyone achieves success and well-being. 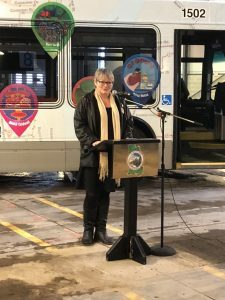 The end of November marked the close of the fourth and final year of this Board of Trustees’ term in office. Although this last year was not without its challenges, Trustees remain focused on aligning its work with that of the new strategic plan with the ultimate goal of providing engaging and innovative learning opportunities where everyone – students and staff – achieves success and well-being. In November 2016, the Board released its new strategic plan anchored by three pillars – Wellness, Innovation and Collaboration. By promoting Wellness, Innovation, and Collaboration in Limestone, the Board will improve student achievement and well-being. The Limestone District School Board offers elementary and secondary students an education that is enriched with diverse program choices and activities to complement curriculum requirements while supporting achievement, well-being and the overall success of every student. 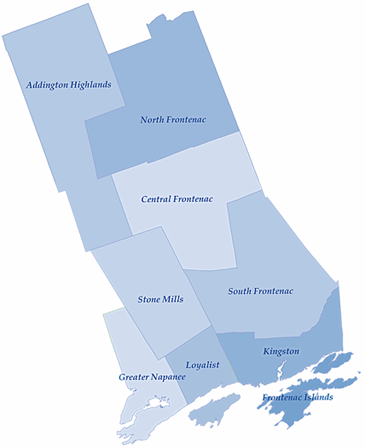 The Board’s district serves almost 20,000 students across 70 schools and centres covering a geographic area of 7,719 square kilometres across the City of Kingston, the Townships of Central Frontenac, North Frontenac, South Frontenac, Addington Highlands, Loyalist, Stone Mills, the Frontenac Islands and the Town of Greater Napanee. 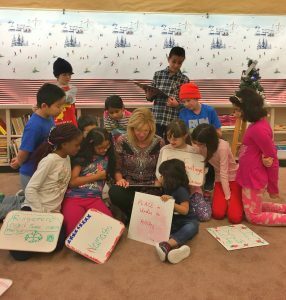 The Education Quality and Accountability Office, or EQAO, ensures greater accountability and better quality in Ontario’s publicly funded school system. 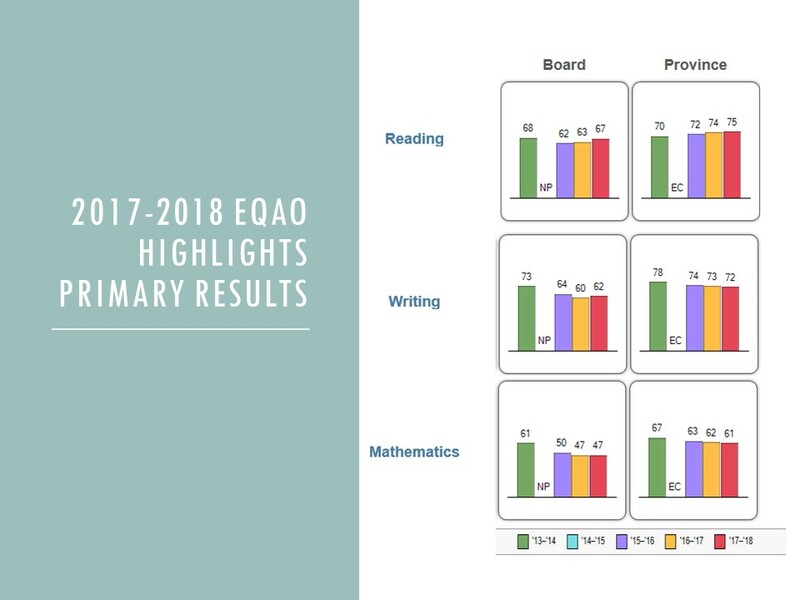 An arm’s-length agency of the provincial government, EQAO provides parents, teachers and the public with accurate and reliable information about student achievement. 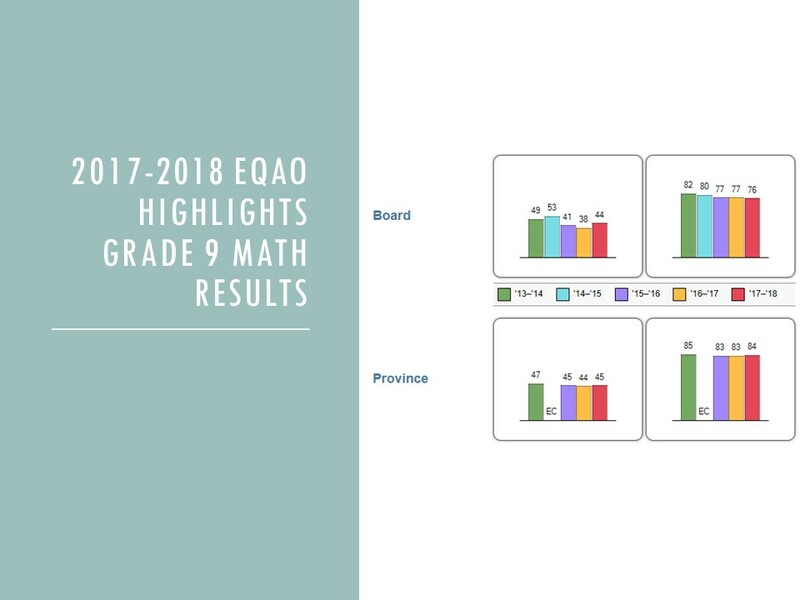 Schools routinely consider EQAO data along with other information to support student success. 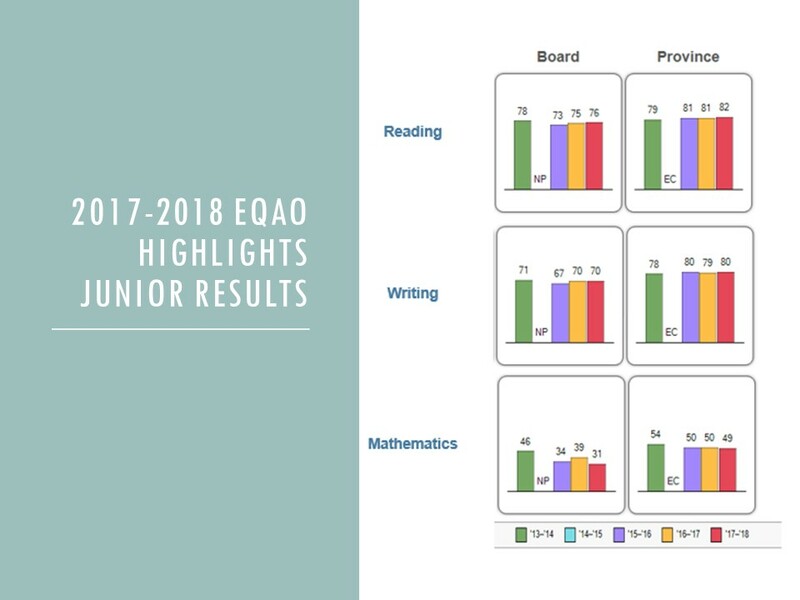 Students in all publicly-funded schools in Ontario are required to write the provincial EQAO assessments of Reading, Writing and Mathematics in Grades 3 and 6, while students who take Grade 9 Applied or Academic Mathematics are required to write the provincial assessment at the end of their semester of study. 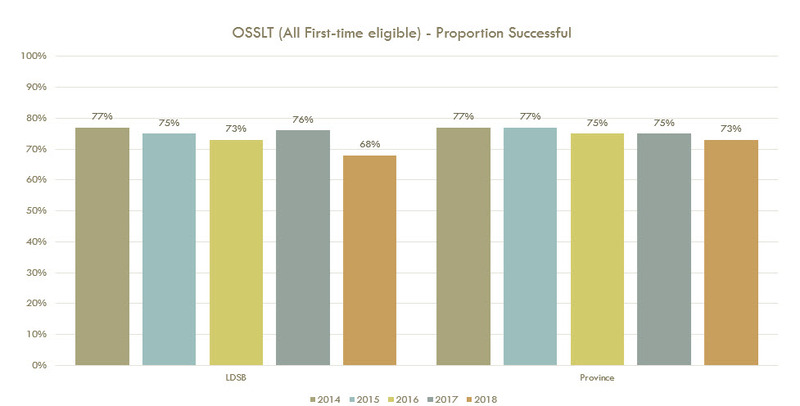 The Ontario Secondary School Literacy Test (OSSLT) measures whether or not students are meeting the minimum standard for literacy across all subjects up to the end of Grade 9. 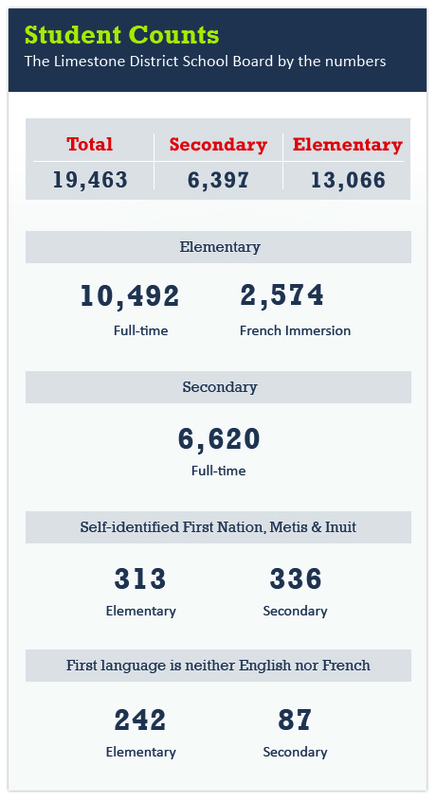 Successful completion of the literacy test is one of the requirements to earn an Ontario Secondary School Diploma. Results are highlighted in the graphs below.